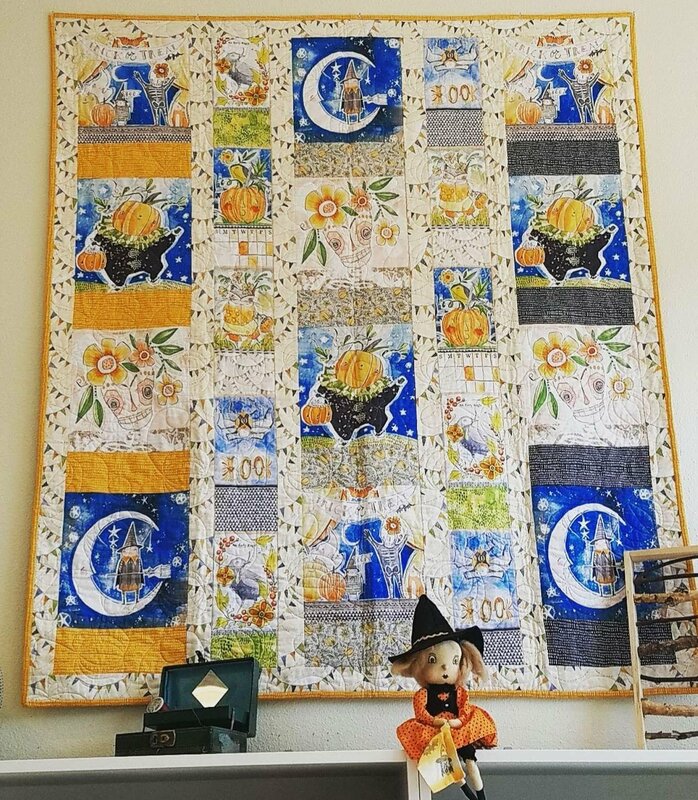 This fun and whimsical Halloween quilt kit is made up of absolutely adorable fabrics from designer Cori Dantini. This kit includes all of the fabric for the top and binding. Quilt measures 56 x 64". You will have several of the small panels left over to make several other fun projects. You can email Kristi@MyQuiltingLoft.com to request patterns designed for those small panels.